Using the engraving skills he learned in England, Harold Watson Sr arrived from Birmingham England and began what is today a multi-generation jewelry business. Established in 1927, H Watson Jewelry was originally a wholesale ring vendor serving Chicagoland jewelers. After World War II, his son – Harold Jr. – joined the business. 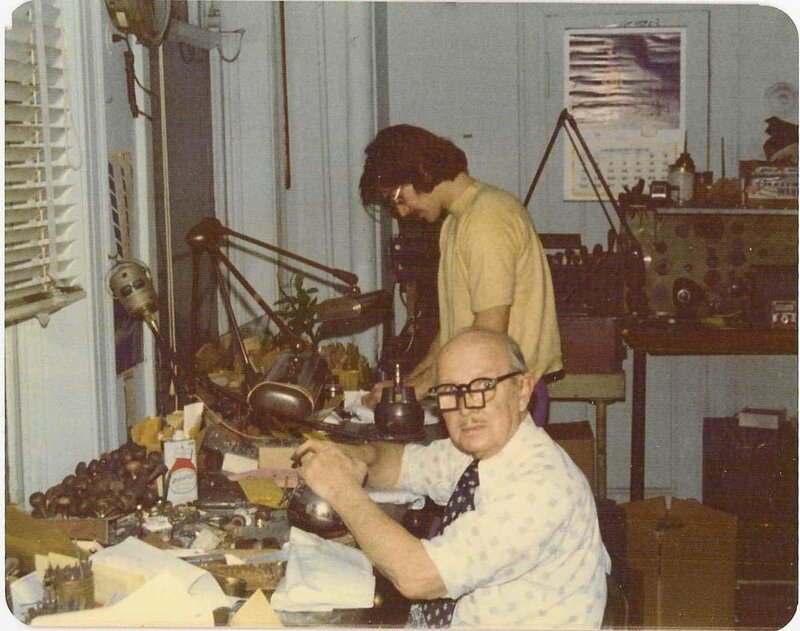 While automating his father’s engraving design and continuing the wholesale business, Harold Jr. also founded the retail side of H Watson Jewelery. That retail business continued to evolve into today’s H Watson Jewelry. Since 1988, we have continued to serve the jewelry needs of many families over multiple generations. Our passion is to create unique pieces of jewelry to become family heirlooms and to transform old family pieces into today’s designs for future generations to enjoy.